In studio video filmed at Crisp Studios, Fayetteville, Arkansas. Stringscapes: The newest project from critically-acclaimed guitarist Jake Hertzog, is a unique fusion of the classical and the jazz world. A duo ensemble also featuring classical guitar virtuoso Yishai Fisher, the group formed in New York City in 2016 and are set to release their debut album later this year. Drawing on a diverse set of influences and unique combination of sounds - the nylon string guitar and the steel string guitar - Stringscapes is pushing the boundary between composed and improvised music. Their upcoming album, entitled "A Portrait of the World in Nylon and Steel" is a suite of four major works each with three movements that are inspired by the extreme landscapes on planet earth. Available now! 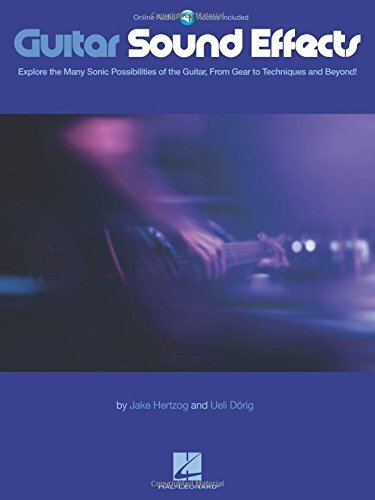 This book shows you how to create a huge variety of analog and digital sounds using physical techniques, pedals, plugins, amps, accessories & more! Features 83 demonstration tracks for download with purchase.